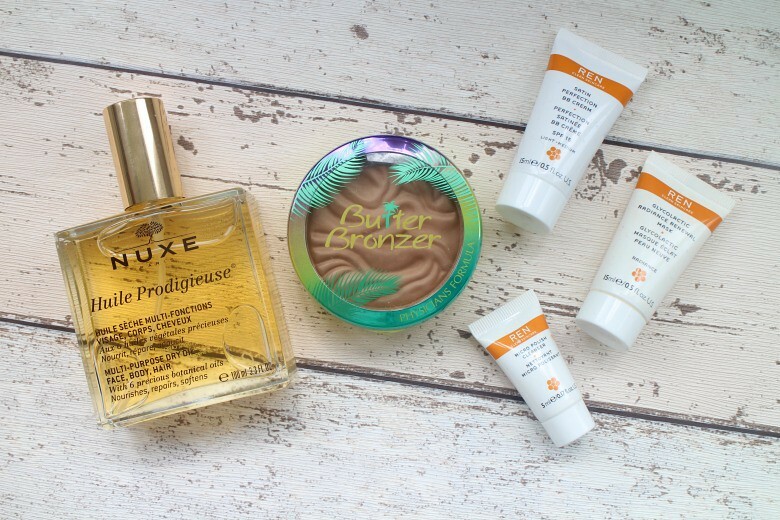 I've had a few products come my way recently that I've been putting to the test or at least earmarking for my forthcoming holidays, first up is NUXE Huile Prodigieuse Multi Use Dry Oil*. As my legs having been making more of an eau natural appearance in recent weeks I’ve been loving using the oil to make them appear more attractive. I’m always conscious that oils will be greasy and worse in the current humid conditions, sweaty but I can report back Nuxe have created something rather wonderful. Yes things are a little ‘slippery’ if I try to cross my legs but that’s to be expected otherwise my legs are moisturised way past office closing hours. To be negative for a moment I do find the spray a bit of a faff as it’s a very fine mist that comes out and I do find I’m repeatedly spraying for coverage of larger areas. That said it means there are no spillages and I can actually manage my usage. I like to take the residue on my hands and run through the ends of my hair which works well for me. The bottle is gorgeous (and keep eyes peeled for special limited edition versions if you’re a fan of such things) and looks decadent atop my dressing table but glass is never that travel friendly so that is something to bear in mind. This product has definitely been a hit for me but I think if I were to repurchase I’d choose the Shimmering Dry Oil option and keep it just as a body oil. As for this bottle I must expand its usage as despite my regular use I can see this bottle lasting me forever! Next up is the Physicians Formula Murumuru Butter Bronzer, the product making such waves across the blogging and YouTuber communities that even I hit ‘buy now’ unable to wait and either ask my friend to send over for me or wait till I was next in the US. Perhaps all that hype is why I’m left a little disappointed. Interestingly one of my ‘favourite’ bronzers is from Physicians Formula, The Glow-Booster so I thought this paired with all the fabulous reviews meant this had to be a shoe in. Katie pointed me in the right direction of where I could make the purchase in the UK, The Vitamin Shop and I made the order. Now I must start by saying there is nothing particularly wrong with this bronzer, in fact it's rather a nice product but it just left me feeling a little lacklustre after the effort I put in. Firstly the smell, which seems to be what most people are raving about was not pleasant for me. I don't consider myself to have a particularly strong sense of smell but this is quite overpowering when you give it a sniff. That said when you apply it's not too much of a bother and it's not something I pick up on and seems more of a gimmick but one that does not really warrant the attention. The next thing that confuses me as to why it's so popular is this is very much a subtle bronzer, if you can even call it that. I liken it to my Chanel Les Beige in it's finish, it really is a finely milled powder that glides onto the skin but doesn't give much of a bronzed look, more a warmth and a beachy glow of sorts. I don't consider myself to be of a particularly dark skin tone but it's certainly not a product that adds a bronzed look like other products in my collection. Of course if you're pale skinned and struggle to find bronzers that suit this might be just the thing for you. 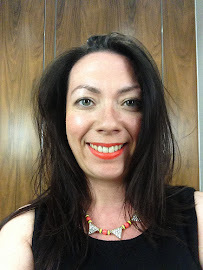 My complaints aside the packaging is fun and adds a bit of Summer fun to my current make up line up and I have to admit I've been using this a lot on days when I 'can't really be bothered' and am relying on a red lip to look like I've made an effort. 2016 is being very kind to me with regards to holidays and I finally feel like I'm making a dent in my stash of travel minis. My next trip is to Italy in August and I think it's time to test some Ren Skincare. When I travel I'm always conscious of whether I should take reliable favourites or test out the samples I've gathered through the year but in this instance I know where I am with Ren. Even better some products I might not have worried about taking with me on my travels, such as Ren Glycolactic Radiance Renewal Mask will accompany me in their small size. A perfect addition to the Summer skincare line up whilst sunning myself is Ren Micro Polish Cleanser*. I mentioned in my exfoliating toner post last week that I don't tend to worry too much about acid toning on holiday but all that sun and a few too many cocktails can leave skin needing a little more attention. Using this cleanser once or twice during your holiday will help keep things looking radiant throughout your trip. New to me is Ren Satin Perfection BB Cream* which might very well be perfect for sightseeing days when I want a little coverage. Silicone free and with a non-oily satin finish should hopefully save my selfies from scaring anyone on social media. If you're looking for some luxury branded travel sized toiletries take a look at Marks and Spencer here because small doesn't have to mean budget.